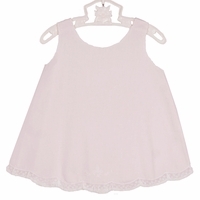 This beautiful little pink cotton blend dress is made by Feltman Brothers, a top designer of quality baby garments. 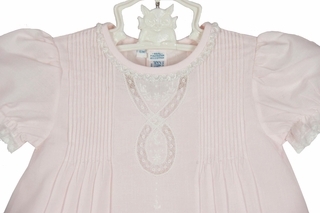 It features a pintucked yoke centered with delicate loops of lace insertion. 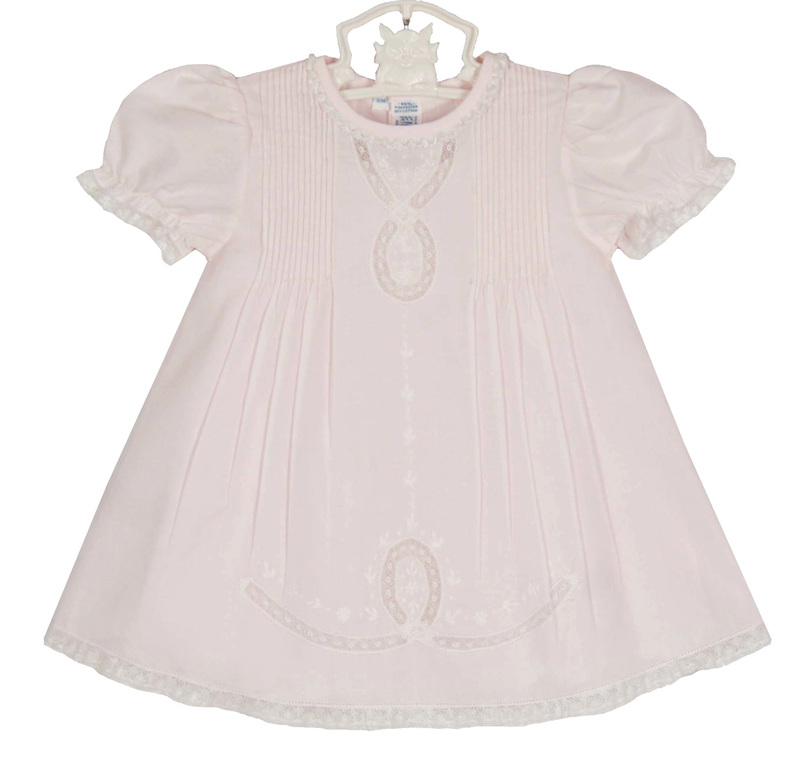 This sweet classic dress has a lace trimmed round neckline and short puffed sleeves trimmed with lace. 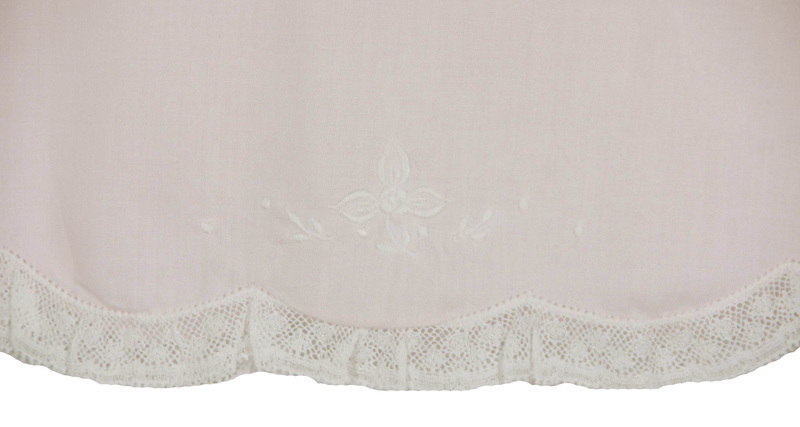 The lace trimmed hem is topped with embroidery and lace insertion. A back buttoned closure completes this lovely little dress. 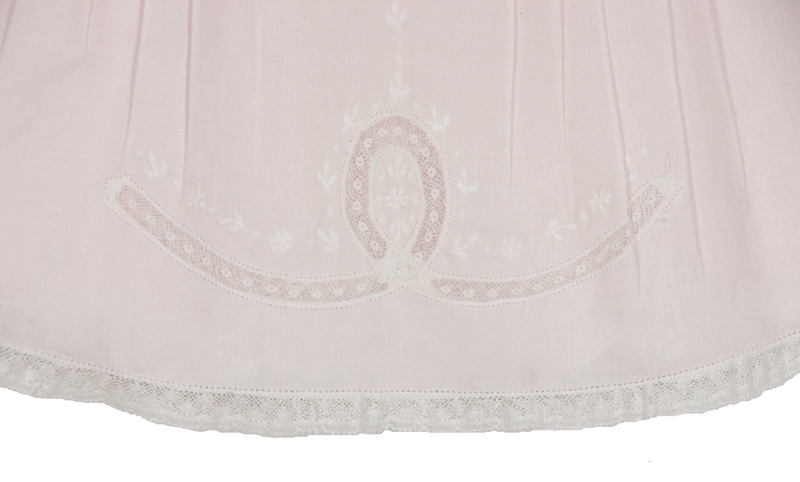 It even comes with a matching embroidered slip with a lace trimmed scalloped hem! 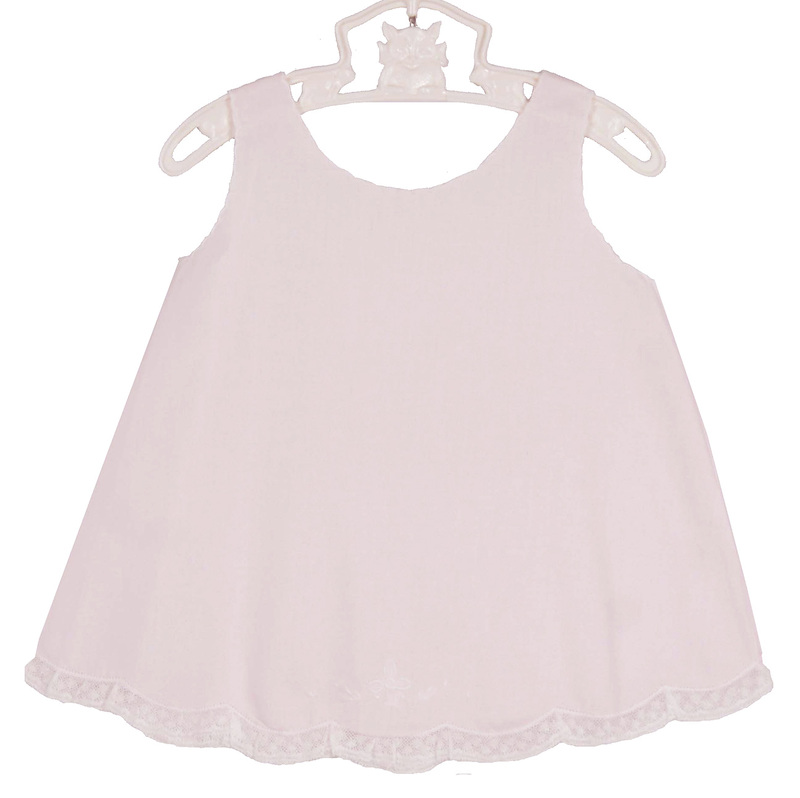 Perfect for your baby girl's portraits or any special occasion!